The Sony AC Adapter for NEX, a7 Series is an AC unit connected to a faux battery that you put into your Sony NEX or a7 series camera for continuous power. It is ideal for extended shooting at events, in the studio, or when transferring large files to your computer. 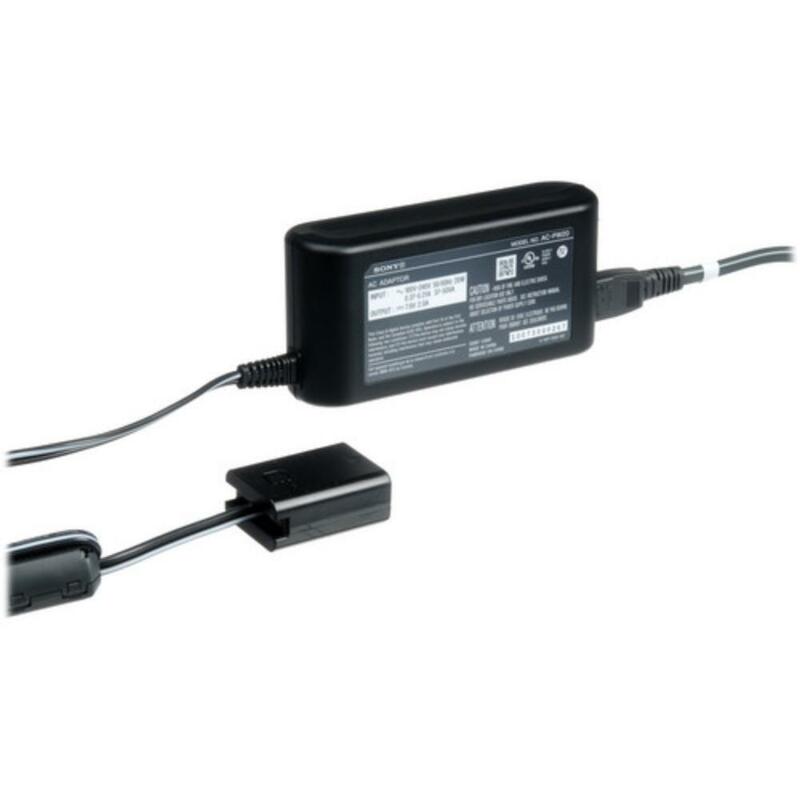 This AC adapter is compatible with only select Sony models, namely the NEX and a7 series cameras. This includes, but is not limited to, the NEX-5, NEX-6, NEX-7, a7, a7R, a7S, a5000, and a6000. Note that if your camera is set to shut off in video mode after a predetermined amount of time for battery swapping the use of this AC unit will not override that. You still have to set your camera to shoot video continuously otherwise it may still power down.